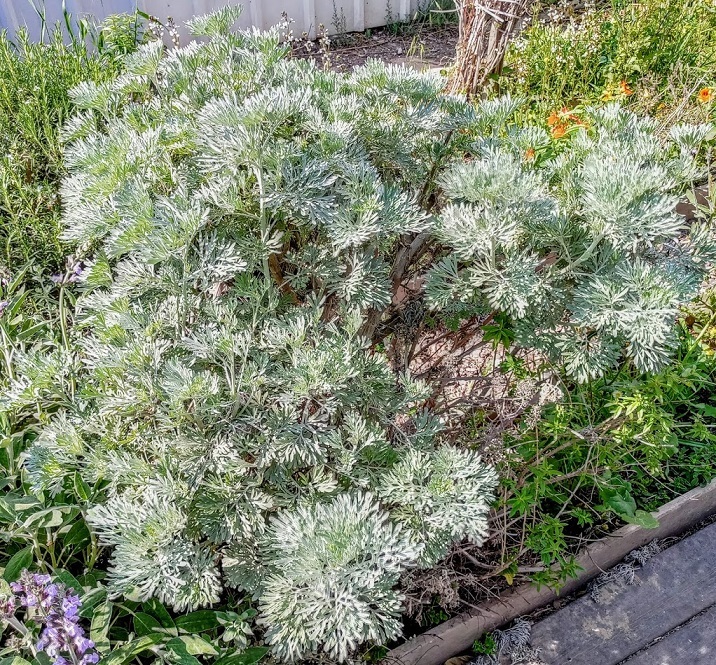 Pruning Sheba - Know matter how often I tell myself to prune on time, and not to forget to prune the Sheba…. Still, I don’t take care of my Sheba. But the truth is, I love that "old plant" look. See those long woody gray-brown colored stems? If you ask me, my Sheba looks great! To be honest, I don’t use my Sheba as a herb and don’t use it all that often. I don't like her bitter flavor, although I know many people who do. Still, I think it’s about time she got a descent pruning. The purpose of pruning Sheba - See the canopy shape of the Sheba? 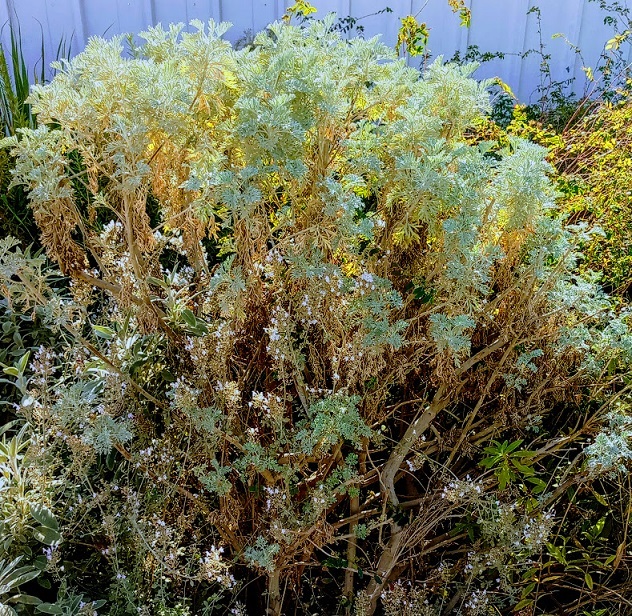 You can see that the lower part has long naked stems and the upper part is covered in thin bunches of small withered leaves. Cutting Sheba has two main aims: first, to get a new thicker growth of leaves. Second, like any woman…. Sheba too is happies when her hair is done ;). So, grab your pruning shears and follow me – we’re going to make Sheba beautiful!! How? 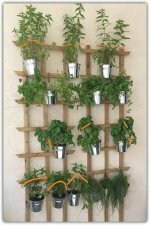 Look at your Sheba plant and divide it into two sides. One side you’ll be pruning, and the other side will be left to grow. In order to encourage new growth on the soon to be pruned side, you need to leave the other side alone for now. Where? My experience taught me that it is best not to prune below the half way mark. Pruning Sheba lower than half of her size is already difficult, there’s really no point in making things more difficulties. Here’s how you find the spot: Go top to bottom, pick a stem, mark the height you intend to prune, look for the node and prune half an inch above it. Maintain the cutting angle as usual and prune. 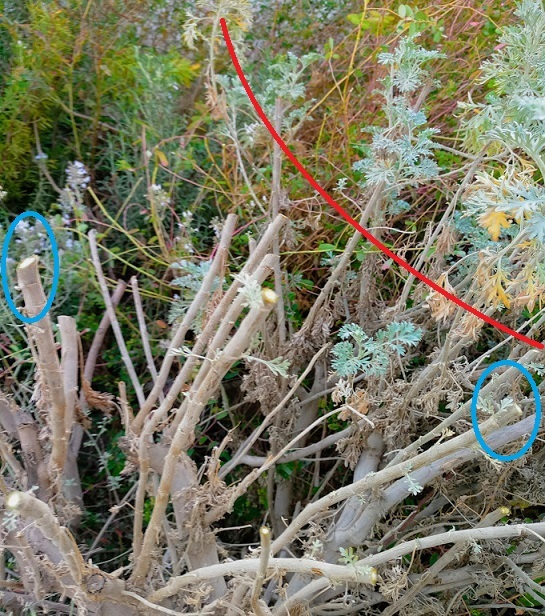 It’s always better to prune a stem that has leaves on it – as you can see in the picture, marked by blue circles. Up on the right hand corner, just above the red line you can see the stems and leaves, which I won’t touch before the left hand side is naked and growing new leaves. Oops, I almost forgot – The dried brown leaves hanging off some of the stems – they don’t need to be pruned, just tear them off the stems with your hand. I’ve also left a few leaves close to the bottom, just for style’s sake. Luckily Sheba is a bit of a punk… so she doesn’t mind her haircut being a little lop sided – you’ll see the left side has been cut back so she’s almost bald, and the right side still has a fair few leaves on it. 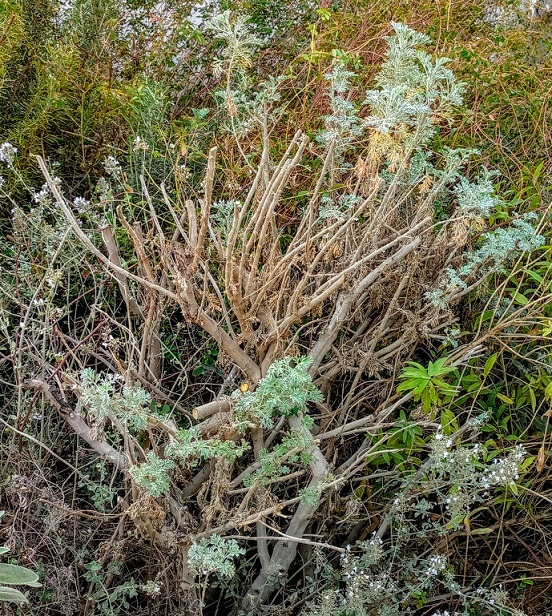 In a few weeks from now, the left side will grow new leaves , which will slowly cover the bald stems, and when that happens it will be your sign to prune the right side. My preferred pruning shears – Cutting Sheba is easy in this respect, there are no special requirements as Sheba’s stems are not particularly thick and are easy to prune. Enjoy!